Edgar Winter (born December 28, 1946 in Beaumont, Texas) is an American musician who had significant success in the 1970s and 1980s. He is a keyboard player, vocalist, saxophonist and percussionist, well-versed in jazz, blues and rock. He is the second son of John and Edwina Winter, who were very much responsible for Edgar and his older brother Johnny Winter's early musical awareness. Both Edgar and Johnny are persons with albinism -- a condition of irony because of the black soulful music that these snow-colored prodigies could create. As teens Edgar and Johnny (who is three years older than Edgar) began performing together at local watering holes such as Tom's Fish Camp. The two played in R&B and blues groups; Johnny and the Jammers, The Crystaliers, and The Black Plague. By the time he was of college age Edgar had become competent on keyboards, bass, guitar and drums. After recording with his brother, Clive Davis gave Edgar the green light to go solo, creating whatever he wanted. An unaclaimed, eclectic black vinyl called Entrance was released and so was the talent and magnetism of Edgar Winter. Johnny's nimble fingers and fine-tuned hearing made up for poor eyesight, making him rich and respected....and making him famous first. Edgar would settle forever settle as Johnny's little brother...but his talent...and ability to recognize and attract talent, would keep Edgar continually evolving. 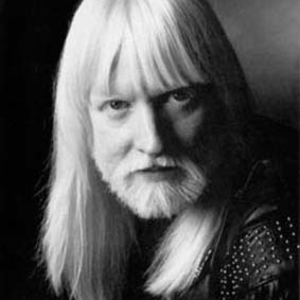 Edgar was signed to his own Epic Records contract in 1970 and recorded several albums, including Entrance and Edgar Winter's White Trash. In 1972 he formed The Edgar Winter Group which included Dan Hartman, Ronnie Montrose and Chuck Ruff. It was with this band that he had his biggest successes: first with the 1973 album They Only Come Out at Night which featured the #1 hit instrumental "Frankenstein" which reached number one in the U.S. in May 1973 and the top 15 single "Free Ride;" which reached number 14 that same year, then the album Shock Treatment which featured the song "Easy Street". Originally called the drum song in development, there was so much tape on the cutting room floor the song earned its name and Edgar's fame. Edgar's wealth of talent, ironically included not playing instruments....but using his voice as one as well. Who won the Tabacco Road duel -- the guitar or Edgar? And yet, for the Albino outward appearance, Edgar Winter's inward ability left a mark on generations: "Why am Dying to Live If I'm Only Living to Die?" The preponderance of vocals and songwriting by Hartman on Shock Treatment led to the release of Jasmine Nightdreams with all vocals by Winter. It was nominally a solo album, but it used the same personnel as the Edgar Winter Group. A full band album followed, the Edgar Winter Group with Rick Derringer, featuring songs and vocals by Derringer. Success was waning, however, and Edgar teamed with brother Johnny for a live album of blues and early rock classics, including Harlem Shuffle (later a revival hit for the Rolling Stones). This album too performed below expectations, so the White Trash was reformed. They recorded Recycled, and toured as an opening act to support the album. The tour was cut short by a tragic plane crash, which killed some members of the tour's headliner, Lynyrd Skynyrd. This was followed by two solo albums, an attempt at literate disco on the Edgar Winter Album and a return to 1970s rock on Standing on Rock. Since then there have been more obscure solo albums and session work, namely with David Lee Roth on Crazy from the Heat in 1985, which included a cover version of the song "Easy Street". With over 20 albums and many television and radio appearances both to promote his music?and to give his opinion on everything politically incorrect? Edgar Winter's music is solidly in the popular vein. Winter's 1970s albums are bluesier than his later albums, but there are blues tunes like "Big City Woman" on his 1990 album Not a Kid Anymore. In 2005, "Frankenstein" was featured in the PlayStation 2 music video game Guitar Hero.